Old clothing and towels can make excellent cleaning cloths. This guide is about cleaning with rags. When I have old stained tea towels, hand towels, facecloths or dishcloths, I use them for rags. The way I identify them so I don't use them again for good linen is to cut the towels in half and cut the corners off the facecloths and dishcloths. Instead of throwing away old worn socks, I keep them to use for really "nasty cleaning". Just put them on your hand, clean your spot, then turn them back wrong side out over your hand and dispose of them at that time. the laundry after being used. They last a long time. If they get too stained, or we use them for something like paint cleanup, we just throw them out. There are some fancy, and expensive cleaning towels or cloths on the market. I've found that the best cloth for cleaning and dusting is an old pair of raggedy sweatpants, I'd cut up. 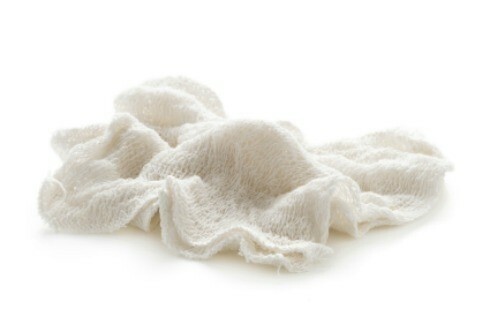 My mom always swore her best cleaning rags were old cloth baby diapers. Old clothing can often be repurposed. One easy way is to cut the cloth into small rags. This is a guide about make your own cleaning rags from old clothing.